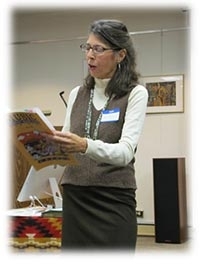 Over recent years, Joan has been invited to speak for various music organizations. She is an excellent motivational speaker, inspiring both new teachers and experienced teachers with new ideas which they can incorporate into their teaching studios. She also has introduced various organizations to the Music Educators Association's Theory program. 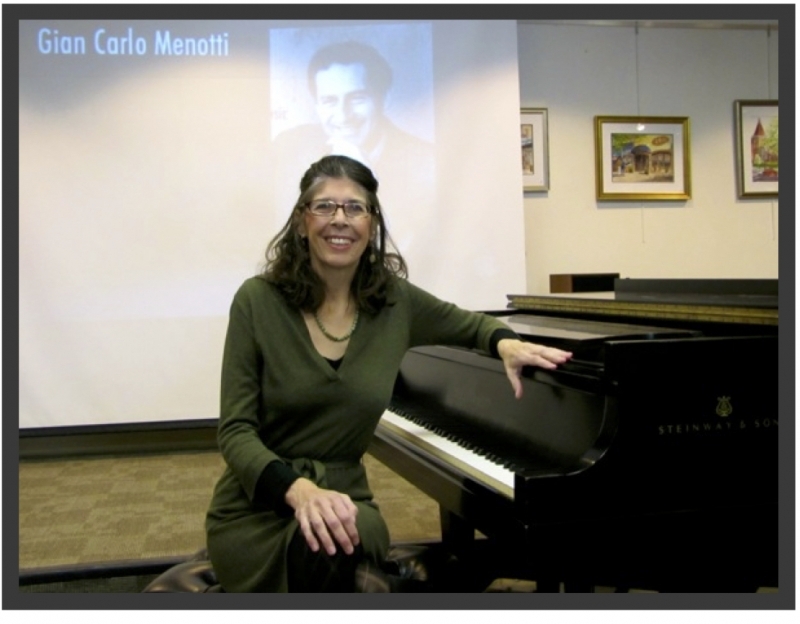 One recent lecture she gave was on composer Gian Carlo Menotti. She had the privilege of interviewing him in the mid 1980's and wrote an article about him in her magazine, On Key The Magazine For Young Pianists. The audio to that interview will be available soon. It is quite interesting! Ms. Bujacich giving a lecture on Gian Carlo Menotti to the MEA. Here is a link to an article from that lecture: Gian Carlo Menotti. 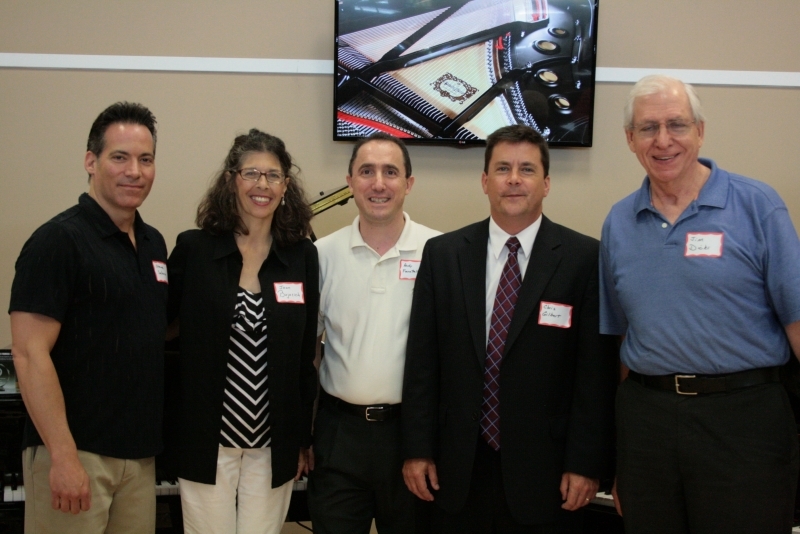 On July 1 and 2, 2015, Joan Bujacich gave a seminar to piano teachers at Rockaway Music in Morris Plains and Flemington, NJ. The topic "Thriving as an Independent Piano Teacher" was motivational and relevant. Also speaking was Yamaha's East Coast District Manager, Chris Gilbert, who is involved in the development of the Yamaha "Clavinova Connection" program.